Providing you the best range of bicycle wheel gyroscope, pulley, single, with three-way attachment, pulley with rod, pulley with table clamp, pulley, single, clamp type, bench mounting and plastic pulleys with effective & timely delivery. Over the years of experience in the industry, we have been able to provide the customers with an astounding assortment of Bicycle Wheel Gyroscope. Dramatically demonstrate angular momentum, our offered range of products try to change its axis of rotation. The faster it spins the harder it is to tip over. To suit the varied requirements of our valuable customers, our products are also available in customized solutions according their exact requirements. 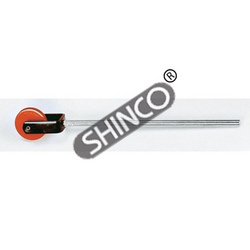 For clamping to vertical or horizontal rods and to laboratory tables, boards etc. 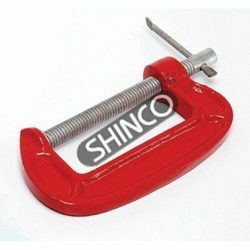 Comprised of a specially designed cast bracket which can be clamped on flat surface 38mm thick and hold a supporting rod 13mm diameter. At the rear of the bracket, a light alloy pulley about 70mm diameter is mounted on brass bearings. Includes two clamping screws for fitting to bench and vertical rod support. Hammer tone stove enamel finish. 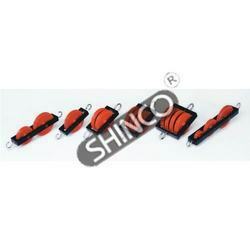 For applications where a pulley is to be supported at various heights and angles. Specially suited for inclined plane experiment. A plastic pulley, diameter 50mm is mounted on a metal frame attached to a plated rod about 10mm in diameter and 15cm long. For clamping on bench tops or boards. 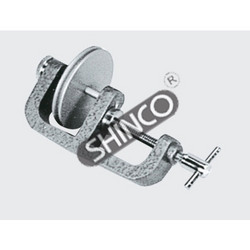 Aluminium pulley, diameter 50mm with v-groove, is mounted on a frictionless cone bearing and fitted on a frame with clamp for fixing to any surface upto 25mm thick with a thumbscrew. Enamelled finish. Made of rigid colored plastic with deep V-grooves. Balanced for free movement. Pulleys are about 50mm in diameter and are mounted in parallel mode on aluminium strips with hooks at both ends. Basically similar to the pulley set described above. Comprised of a rectangular laminated wooden base approx. 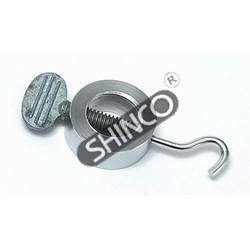 12.5 x 15cm which supports a threaded rod measuring about 12.5mm x 61 cm in a metal flange, fitted with a capstan and a screw eye. Six clamps (hook collars) are provided for suspending pulleys and cords on an adjustable cross rod approx. 9.5mm x 20cm, held by a right-angle clamp. 1 tommy bar to tighten the vertical rod and instruction manual. aluminium. Slotted weights and weight hangers are made of brass. Pulleys with deep V-grooves are balanced for free movement. 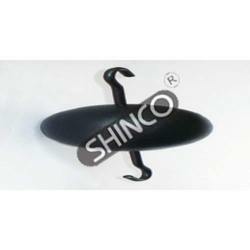 Mounted on aluminium frame with hooks at both ends. Diameter 50mm. 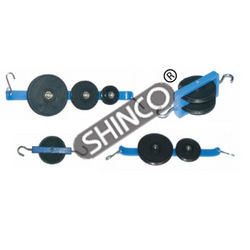 These plastic pulleys have ball races mounted on a metal frame for smooth running. 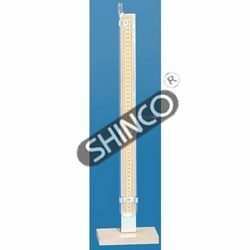 Suitable for experiments involving inclined plane where mounting on plane surfaces is required. 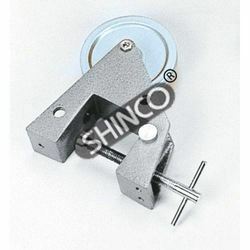 Consists of a pulley, diameter 37mm mounted in bracket having two fixing holes for screwing on to a surface. Both parts are made of aluminium. For demonstrating and performing quantitative experiments on fixed and moveable pulleys, trains of fixed and moveable pulleys, the wheel and axle and the capstan etc. Helps understand the concepts of the mechanical advantage, the efficiency of fixed and moveable pulleys, etc. Comprised of a rectangular laminated wooden base about (I x d), 20 x 82cm which supports two threaded rods measuring approximately 12.5mm x 81cm in metal flanges and is fitted with a capstan and a screw eye. Eight clamps (hook collars) are provided for suspending pulleys and cords on an adjustible cross rod approximately 12.5mm x 81cm, held by right-angle clamps. For easy viewing of the experiment. 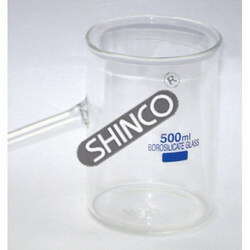 Made of borosilicate glass with capacity of 500mL. 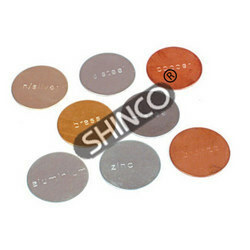 Metal Disc Set, 25Mm, Set Of 8, diameter, packed together in a small zip bag. Sent with silica gel to help prevent rust. 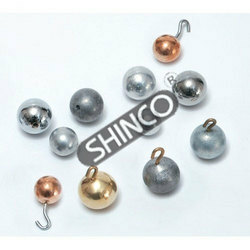 Contains one each of brass, zinc, bronze, stainless- steel, copper, mild- steel,nickel-silver, and aluminum. Demonstrates that liquid pressure is transmitted equally in all directions. 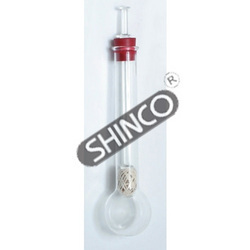 Consists of a borosilicate glass bulb, of 50mm diameter with holes, fitted with a piston for compressing liquids. Total height about 250mm. Four digit counter that tallies upto 9999. With single click action and zero re-set knob. Used in conjunction with the turbine/pump unit to provide an open or closed system in demonstrating the conversion of Electrical energy to kinetic energy in the pump and from potential energy in the head of water. Supplied with two vessels of 80mm dia and tubes. The upper platform has 38mm dia hole to allow it to use as a single reservoir. For demonstrating the effect of temperature on the density of a liquid. 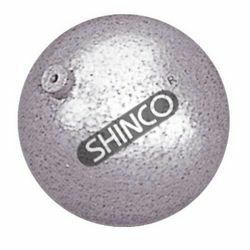 Consists of a copper ball about 75mm diameter, properly loaded so that its density in less than that of water and it floats. When the water is heated its density reduces and the ball sinks. 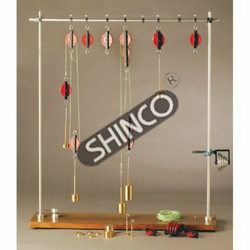 For suspending spring balances, cords, pendulums and other apparatus from support rods or cross members. These metal collars are fitted with thumbscrews. Spin this solid rubber bicycle wheel, hold the handles, and try to change its axis of rotation. The faster it spins, the harder it is to tip over stand on a Rotating Platform to experiment with gyroscopic precession and learn how satellites steer. 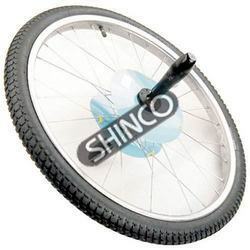 Wheel diameter 60 cm. For various applications in a physics laboratory. A cast iron ball of 79mm diameter with two hooks on opposite ends. Enamel finish. 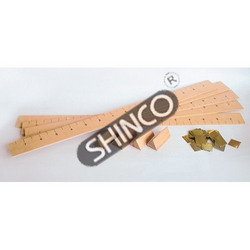 Consist of 5 wooden beams 600 x 44mm and marked every 38mm. Each beam has a groove across the center to indicate the fulcrum point. Also included are 4 wooden fulcrums and 40 square metal blanks of 25mm side. 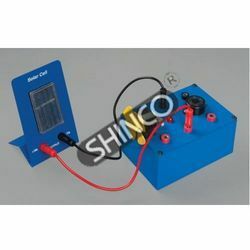 The unit is the component part of the clear demonstration of the conversion of electrical energy into kinetic energy and back again when used in conjunction with the motor units and the lamp unit. The alloy wheel is of 115mm dia. 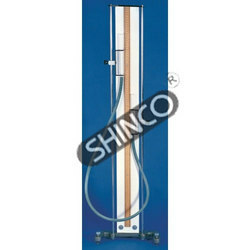 The shaft has an aluminum pulley 44mm dia flatted on board size 150 x 100 x 10mm. Set of 14 balls. Two each of: aluminium, brass, copper, iron, lead, zinc and wood. Packed in a sturdy cardboard box. For obtaining precise readings of volume of a gas for a range of pressures. 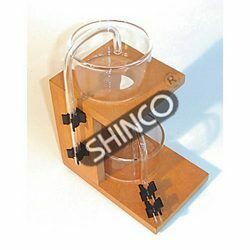 The apparatus consists of two borosilicate glass tubes, closed at the top and joined by rubber pressure tubing at the lower open ends. Both tubes are mounted on a sliding bracket which can be locked at any position on a two-rod frame, fitted on a wooden board. A meter stick graduated from 0-100cm x 1mm and figured every centimeter on both sides is fixed in the centre of the board. Provided with enamelled finished cast base with levelling screws. Supplied without mercury. Apparatus for the recording of pressure verses volumes and for investigating boyle’s law. The vertical tube is part – filled with the colored liquid and sealed. The trapped air is then compressed progressively, with pressure (p) and volume (v) readings taken at each stage. Before each pair of readings is taken, the liquid should be allowed to settle so that the heat caused by the compressions is dissipated. The air is trapped in a long, graduated vertical tube. This scale is in arbitrary units. These can be taken as indicating the volume of the trapped air. Pressure is applied by using a bicycle pump (or similar) and can be read off the gauge provide. 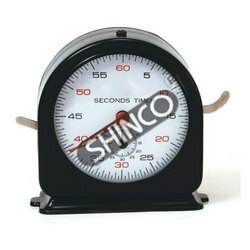 This gauge is calibrated this gauge is calibrated in both kg/cm and p. S. I. 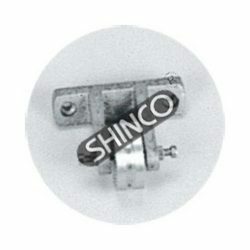 A reservoir under the gauge ensures that the pressure reaching the trapped air does not fluctuate too violently. The vertical tube will withstand the pressures required for the demonstration. However replacement of the bicycle pump with a foot pump might result in pressures greater than the apparatus can stand. Made of stainless steel. Pressed into one bent flat end, raised center section and 20mm long scoop at the other end. 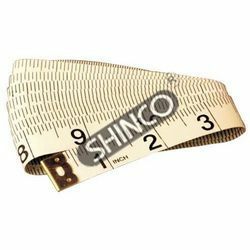 Overall length is about 140mm and about 7mm wide middle strip. 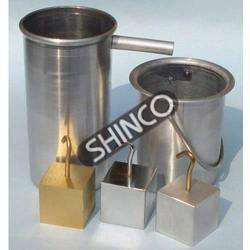 Consists of 300mL aluminum catch bucket, aluminum over flow can with angled spout and three hooked cubes of different metals. 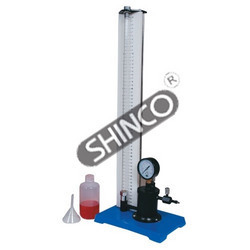 For use in finding the volume, density and specific gravity of an object. 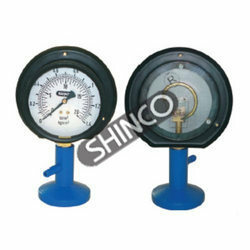 A multiple-use manometer for accurate measurement of gas pressure. 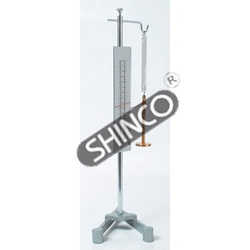 Consists of a borosilicate glass manometer tube with a 50cm arm having funnel top and a 26cm arm with riffle for easy connection to rubber tubing. Mounted on a wooden board fixed over a metal stand. For proving hooke’s law of elasticity, i. E. That elongation of an object is directly proportional to the load applied and demonstrating the phenomenon of simple harmonic motion of a vibrating weight, potential energy etc. Consists of an adjustable mirrored scale 15cm long, graduated in millimeters, mounted on a support rod 30cm long fitted on a base. A hook attached to the rod supports a spring and indicator. Provided with a 50g brass hanger. 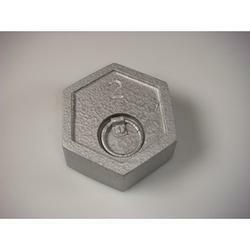 Required slotted weights can be ordered separately. For determining the mechanical advantage and demonstrating the principle of conservation of energy. 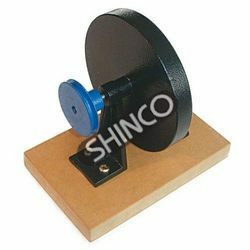 Consists of four-step wooden wheel of 35, 50, 65 and 105mm diameters fitted with ball bearings, turning on a single, plated steel rod which can be clamped to a support stand using a right angle clamp. Each wheel has a flat groove to accept several turns of a cord with a small hole at each groove for holding a knotted cord. Can be fitted to a support stand with a right-angle clamp (not included). Recommended for use with nylon twine. Reinforced plastic measuring tape. Measures one side 60” and the other side 1520 mm. For clamping two apparatuses together or securing an apparatus to a table top. Also useful for setting up rod mounted pulleys. Cast iron enamelled frame. Plated screw and vise type nut. 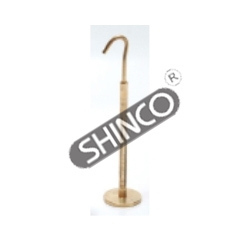 For fitting standard meter sticks used in setting up a demonstration balance to study principles of levers, moments, torque etc.. Made of spot welded steel. Designed for fastening to meter sticks by means of knurled set screw and easy viewing of the meter stick. 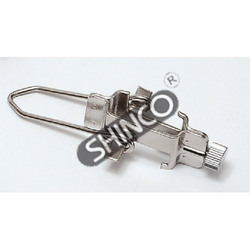 Provided with a removable metal wire stirrup which serves as a weight hanger when placed in an inverted position. 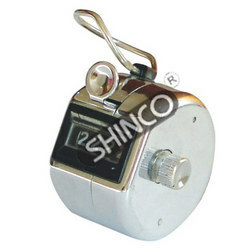 Dial is divided into 30 seconds with 1/10 second graduations. Has 0 to 15 minute registry. Easy to read numerals. Housed in a plated metal case a with glass covered dial. Mechanical 15 jewel lever movement. Start, stop, and reset operations are accomplished by a single button by successive depressions. Rewinding is done using anti-clockwise crown movement every eight hours. Supplied in a high impact plastic case. No batteries required. Integrated unit with motor/fan, buzzer and a LED mounted on a single plate. For hanging slotted masses described in 3410-03, 3410-08 and 3410-11. Made of brass. Bourdon gauge on stand with tubulture for connection. Transparent back. 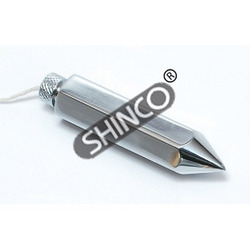 Made from hexagonal steel rod by carefully machine turning to a sharpened point. Dimensions are approx. (I x d), 85 x 20mm (3 1/3 x 25/32in) and weight approx. 140g. Provided with a screwed end cap with a hole to receive a cord.